Is Your Home “Fit to Sell”? 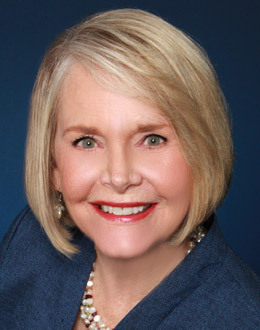 You can trust Linda Maull for all of your real estate information needs in Pinehurst and all of Moore County. Contact me. I can help you make the decision that gets the results you want. Whether you’re selling or buying, I know the ins and outs of the local Moore County real estate market. Working with me, you can expect outstanding customer service and the best real estate professional Pinehurst, North Carolina has to offer. I’ll perform a Comparative Market Analysis to help determine the listing amount and develop the promotional marketing plan that exceeds your expectations. I will help you get top dollar for your home in negotiations using my knowledge and network. I’ll help you wade through the complexities of selling your property; eliminating hassles and stress. Your home deserves the most exposure available through a strong promotional marketing plan. Your home will get promoted to agents and potential buyers 24/7. Your home gets posted with our local Pinehurst MLS in 24 hours. I stay on top of market conditions, and I’ll know if an asking price is over-the-top, or reasonable. We won’t waste time looking at properties that aren’t a good buy. With my expertise, I’ll obtain the best deal for you. You’ll understand the buying process, and will be empowered to make informed decisions. As an attentive agent, I make myself available to show homes when it’s convenient for you. I’ll be there after hours and weekends – just ask. I know the neighborhoods, schools, market conditions and local economy of Pinehurst, North Carolina, which are important factors in finding the right property at the right price. I’ll notify you of new listings in Moore County right away.